The thought of last year’s birthday cake still causes me to swoon: A classically gorgeous double-layer chocolate cake with a generous shield of buttercream frosting, made even more alluring with pink and yellow borders. Crafted with care by my favorite local gluten-free bakery, their cakes are so good I actually fantasized about it months prior to my Oct. 11 birthday. This year, however, I’m celebrating with a calorically pared down, cleaner version of the classic American birthday cake. Nope, it doesn’t make me swoon, but people, I have goals! It’s not just that I want to look better…it’s very much about feeling better. Sugar, as it turns out, was doing more than just messing with my mood. My nutritionist, Nancy Guberti, revealed that a diet rich in refined sugar had yielded an an overgrowth of candida and yeast on my stomach lining so thick, it all but prevented the stomach wall from filtering nutrients into my system. Sugar was also contributing to things like bloating, inflammation, and a few extra pounds that had hopped aboard when I was trying not to notice. In my quest for better health, my mentors Dallas Page and Terri Lange strongly advised I give up gluten and cow-dairy approximately five years ago. I complied with that request and their instructions to do DDPYOGA on a regular basis. The result was 185 pounds dropping off my body. I don’t mean to imply it wasn’t work. It was. But this formula clicked in a way others had not. There was effort involved for sure, but not struggle. The longer I ate this way, the more energetic and freer I felt. 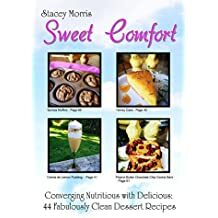 And since I adore cooking, I dove head-first into the pool of gluten-free baking, experimenting with all manner of gluten-free pies, cakes, peanut butter cookie sandwiches, cobblers, and bread puddings. Gluten-free sweets became a source of immense pleasure, heightened by the knowledge I wasn’t doing my body the harm normally done when eating wheat-based flours. I ate sweets on a regular basis, but in moderation, and continued to drop weight along the way. Even when it got to the point when I unofficially declared gluten-free cupcakes a member of the food pyramid and decided they were every bit as important to include in my day as fresh spinach. The combination of advancing age, slowing metabolism, a shoulder injury that curbed my workouts, and a predilection for sugar proved to be the perfect storm for weight gain and tighter jeans. I wasn’t downing the estimated 156 lbs. per year of sugar that some Americans do, but the ill-effects were undeniable. Suddenly, 10 extra pounds decided it was time to come back and roost (on my hips and stomach, of course). 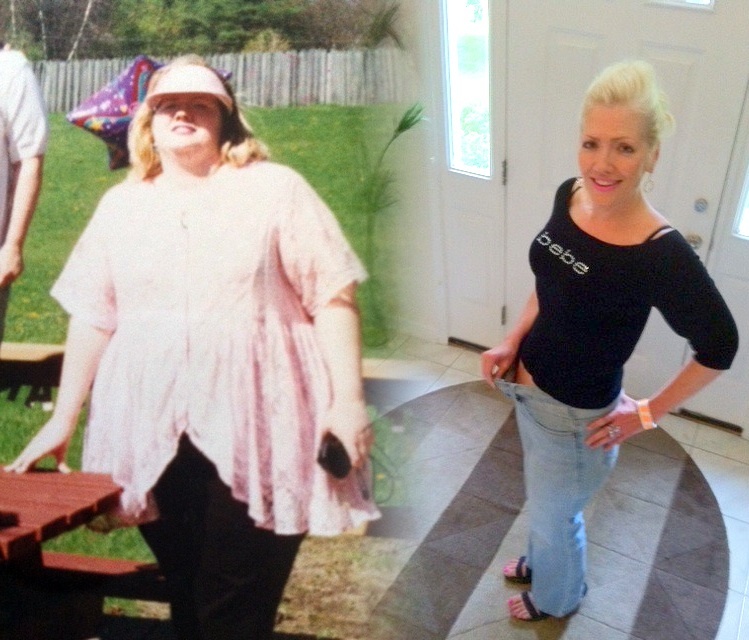 That coupled with an e-mail from Terri on how her life and body had changed dramatically for the better after giving up sugar and flour (even gluten-free) was all the motivation I needed to make it happen. I consulted with Guberti on a game plan which included a pretty sizeable cash investment in supplements that would strip my stomach of its invaders and replenish my body with all the nutrients it had been lacking for so long. I do admit to ridding my cupboards of unhealthy foods the old-fashioned way: by indulging in a lost weekend of gluten-free cookies, sugary cereals, and white pasta. Hey, my supplements wouldn’t be arriving for another few days. What was I supposed to do? The 48-hour simple-carb-fest translated to another five pounds in the kitty, but I did enjoy it…thoroughly. I began my sugar-free existance on May 5, thinking it would be a temporary cleanse and rebooting to last no more than three months. Stevia became a staple, as did recipes for cakes and cookies derived from lentils. Some are more enjoyable than others, but they fit the bill. The sweet tooth is duly satisfied and they fill me up in a way that flour-based desserts just don’t. And as expected, the clothing got looser, the extra pounds evacuated, and the stomach bloat left the building. Ditto for the mood swings. I absolutely love the way I look and feel, but sometimes, the price is high. Without the sugar to ring my pleasure bells, I feel EVERYTHING more acutely than I already did once I cut out the trance-eating nearly five years ago. Every foul mood, sudden cloud of sadness, ache of grief, spike of anger, well…let’s just say it’s all much more intense without the anesthesia. There was a learning curve, but I’ve come to prefer getting my dopamine rush from things like standing still to take in a beautiful sunset, doing a two-minute plank, enjoying a hot bowl of baked apples, or getting a massage. And you know what? Heightened awareness isn’t just survivable…it’s good for me. I’m of the belief that the more squarely life is faced, the more rich are both the lessons learned and the quality of each present moment. So as I write this, seconds away from beginning the final year of my 40’s, I’ve decided the trial separation from sugar has been going quite well. So well that I’m looking into making it a permanent arrangement. 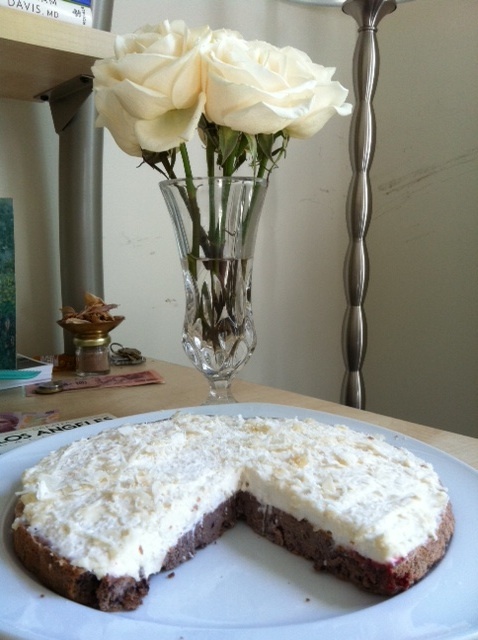 Here’s a shot of this year’s cake…my version of a red velvet with (vegan) cream cheese frosting and sprinkled with unsweetened coconut. 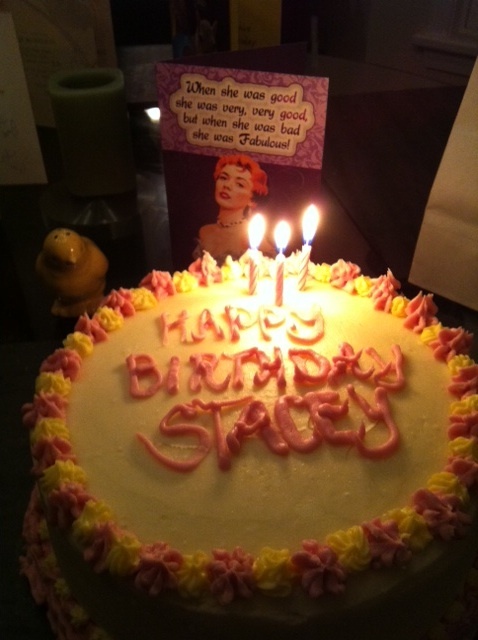 I didn’t want to douse the batter with more than a few drops of food color so it looks more like a mauve velvet cake. And it tastes pretty good. Not great, but good enough. And sometimes making adjustments like that is simply the required ticket price for a new life. I’m OK with it. Sure, there will be times I long for sugar or find myself wrestling with urges as I witness someone other than myself about to wrap themselves around a cinnamon bun or glazed cruller. But like I said, I have goals. And they involve better health, clarity, and freedom.